DI Hunter is rocked when one of his team is murdered in his house. But when he gets to George’s house things don’t add up. Why is there so much security even if he has a collection of books? Did anyone really know George? It’s clear that Hunter is going to put his killer behind bars but he is going to have to learn more about George and his past to do so. At the same time there is an increase of drugs from Peru. Hunter is going to have to visit someone from his past to find out more about this drug dealer. But there is more happening than just new drugs. But the question is how is it related to George’s death? 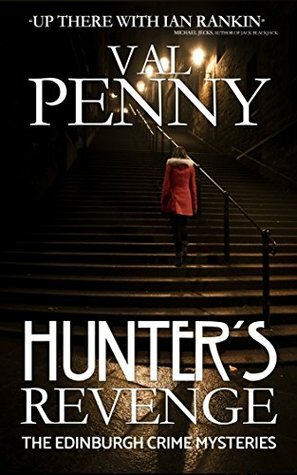 This is my first book from author Val Penny and I was worried that I might be lost since it was the second book in the series. No worries, I’m sure if I had read the first I might get more of the connection between the team but I had no problem following along. This is a great story with lots of threads running throughout it and the further you go the more you find they are all connected and NOT in the way you might have thought. Nothing is what it seems and you will be kept on the edge of your seat trying to figure out how it connects. I loved how each of the team’s personal lives helped make them more real without bogging down the overall story. They all worked well together and were there to solve the murder. But I have to say that the title is a little misleading. No one was out for Revenge, Hunter wanted to bring the killer to justice. Overall this is a great story and one that I recommend checking out. As for me, I’m going to go back and catch up with Hunter’s Chase. 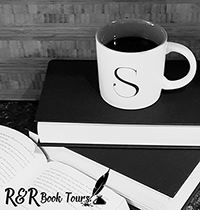 Thank you so much for taking part in my blog tour. I am thrilled that you enjoyed Hunter’s Revenge and very much appreciate your support.